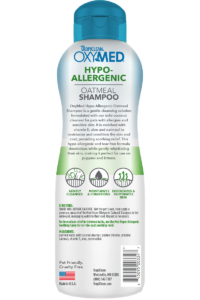 OxyMed Hypo-Allergenic Oatmeal Shampoo is a gentle cleansing solution formulated with our mild coconut cleanser for pets with allergies and sensitive skin. 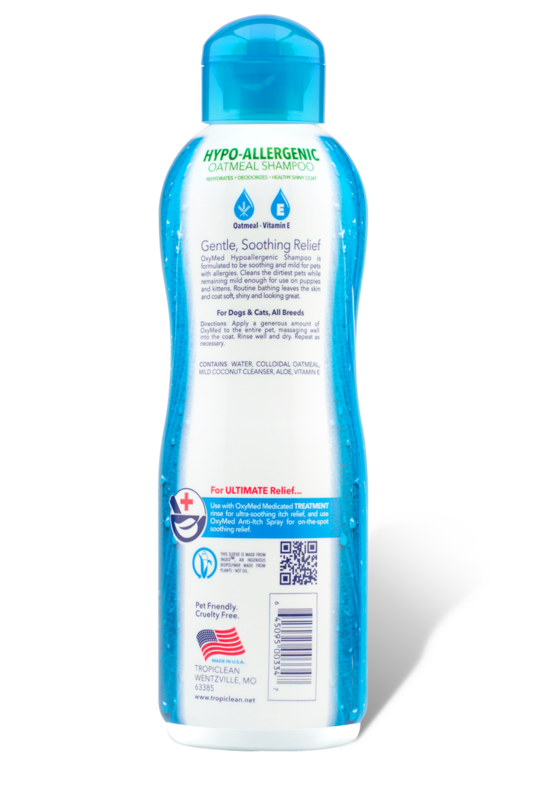 It is enriched with vitamin E, aloe and oatmeal to moisturize and condition the skin and coat, providing soothing relief. 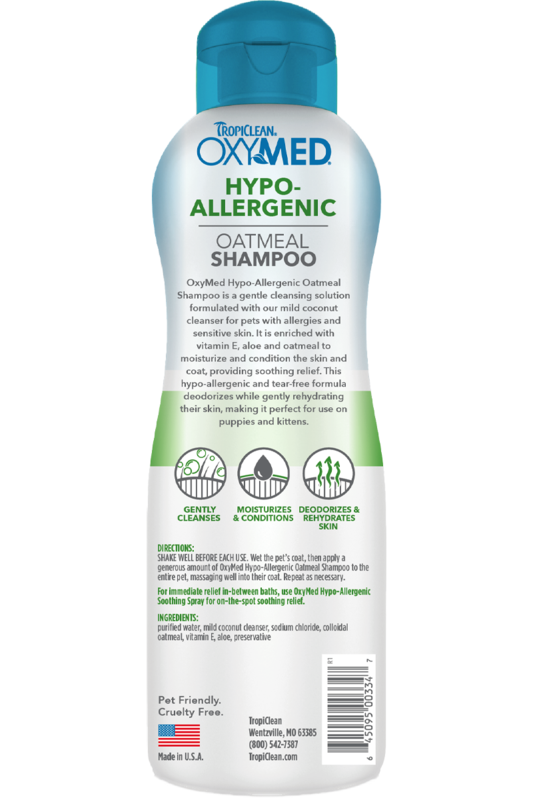 This hypo-allergenic and tear-free formula deodorizes while gently rehydrating their skin, making it perfect for use on puppies and kittens. 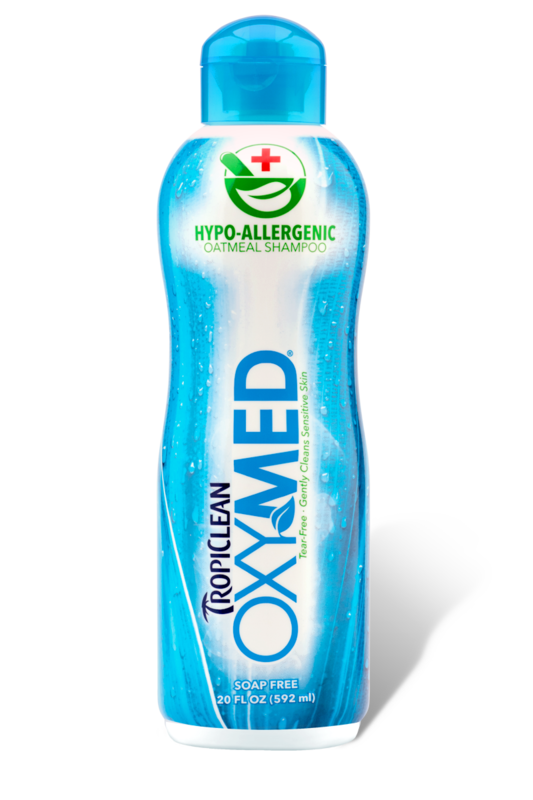 I love Tropiclean products. They are natural and wonderful for my dogs . . . and me (read on). 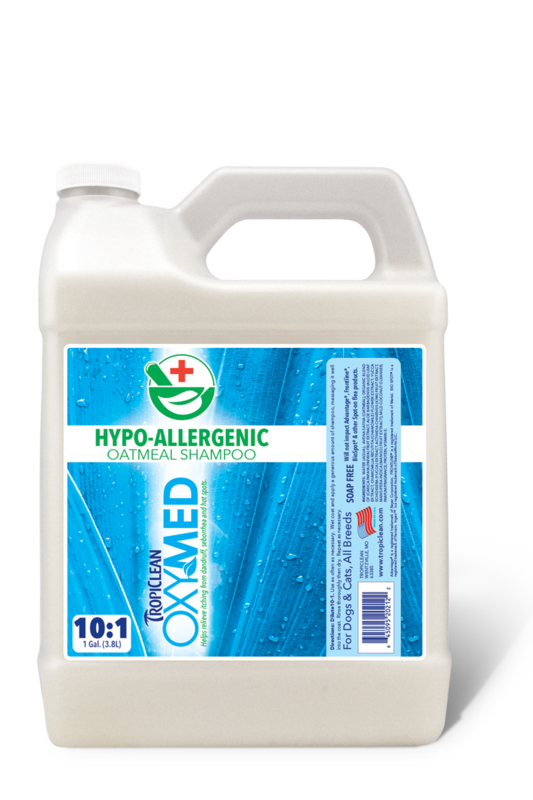 The Oxy Med Anti-Itch Soothing Spray is great for my dogs in between baths and after bath. It keeps them from itching in between baths. I just bought them Tropiclean Berry & Coconut Pet Shampoo and will be using it for their next bath. 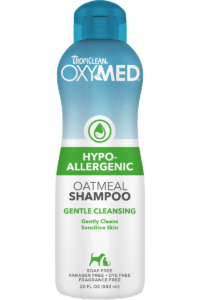 I have been bathing them with TropiClean OxyMed Hypo-Allergenic Oatmeal Pet Shampoo. 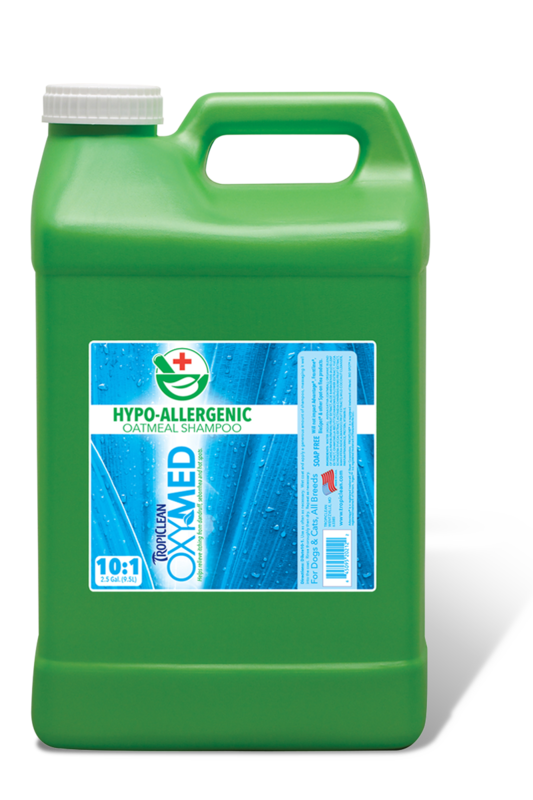 It's great for their dry and itchy coat, especially now, in the winter. It smells great, like fresh coconut. I have dry skin in the winter and my hands have doing bad this season. 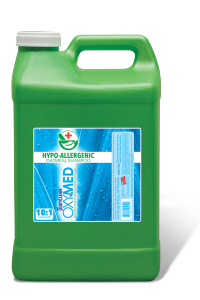 I cannot use soap because the detergents are irritating and make it worse for me. 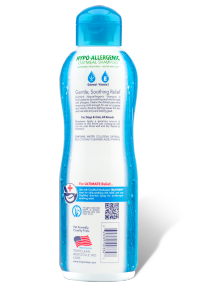 It seems like everything for dry skin for humans has additives and/or detergents. 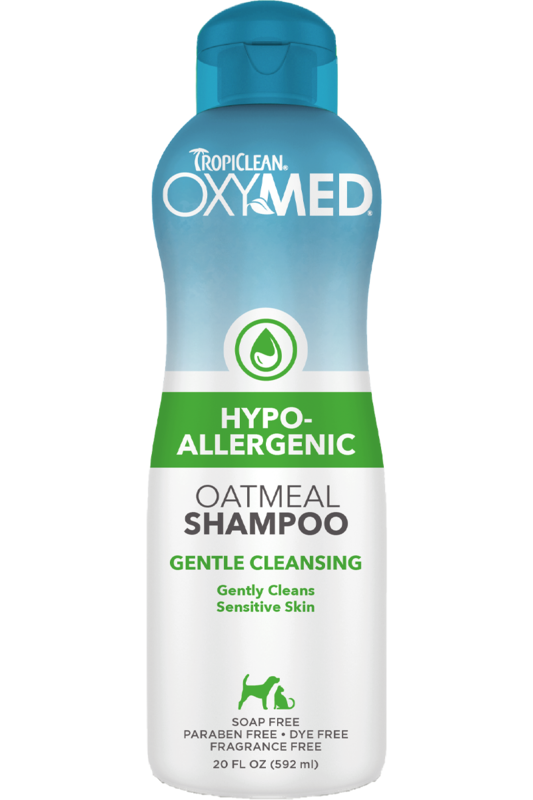 I knew the dogs' TropiClean OxyMed Hypo-Allergenic Oatmeal Pet Shampoo was very natural (no detergents), has oatmeal, and is hypo-allergenic, so I thought maybe I should try washing my hands with it. Wow! This is great for me. It has given me so much relief. So, not only are my dogs benefitting from it, but so am I! 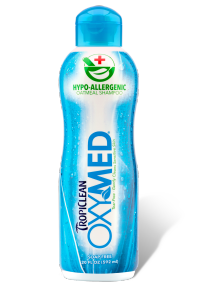 I wrote to Tropiclean and suggested they should market this as a hand soap for humans with sensitive skin. Thank you Tropiclean! SHAKE WELL BEFORE EACH USE. 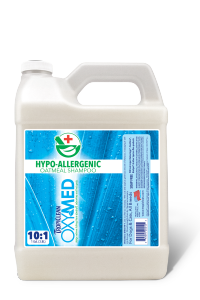 Wet the pet’s coat, then apply a generous amount of OxyMed Hypo-Allergenic Oatmeal Shampoo to the entire pet, massaging well into their coat. Repeat as necessary.